Fried garlic and garlic oil is essential in many noodles soup and soup dishes in South East Asia, especially in Malaysia, Thailand and Philippines, It not only add good aroma and flavors to soups, it also add nice crunch to "gon lou" a dried version of noodles. 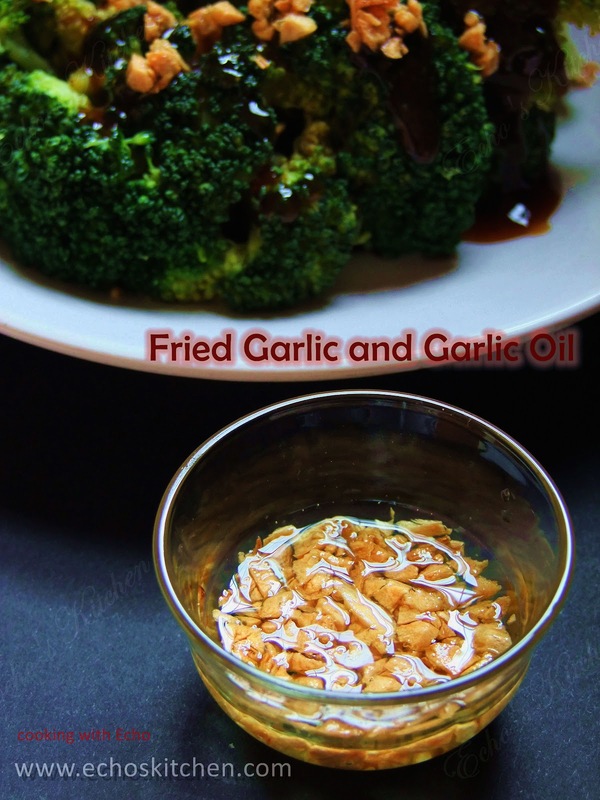 Fried garlic is traditionally made in frying pan, since I do not use garlic oil in big quantity and not as frequently, I discovered that making small batch in microwave is simple, quick and hassle free! 1. 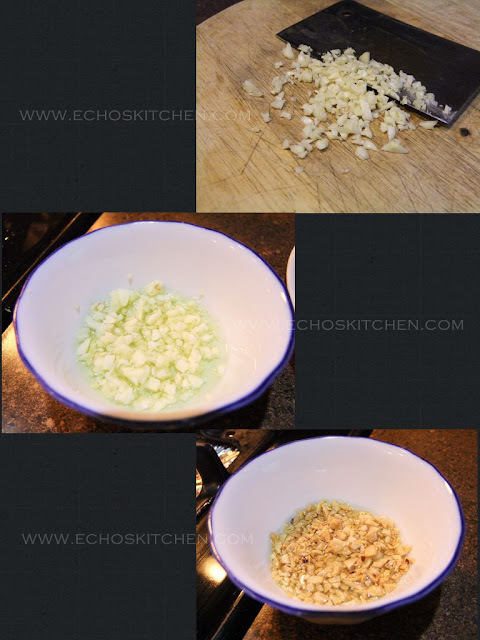 Coarsely minced garlic, place it in a microwavable bowl with a little salt and oil. 2. Microwave for 2 minutes at high, take it out, stir it and microwave again for 2 times of 30 seconds. 3. Take the garlic out before garlic reaches the desired color, it will continue to cook after taking out from the oven. Note: my microwave is 1000 watts, if your microwave has lesser wattage, please increase time accordingly, and if your microwave is high in wattage, reduce time accordingly.